It’s been a long while since I’ve written again, and the reasons are similar to my absence back in April—while I wasn’t writing another dissertation, my fellowship has just begun! 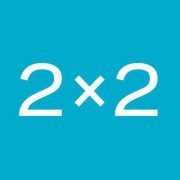 The 2×2 Project aims to increase discussion, debate, and understanding around current public health and epidemiological trends. Based at the Mailman School of Public Health at Columbia, we have a great team of writers and fellows. Come check us out! My latest post on abstinence-only education is up, along with some commentaries on the recent New York city soda ban, social networks and health, mobile apps, and climate change. We update a lot during the week, so make sure to like us on Facebook, and follow us on Twitter! I’ll have some pieces about the Affordable Care Act up shortly. A great looking site. Enjoyed the articles. Appreciate the intent. Congratulations to your whole team! Thanks, Jan! I was actually going to message you that soon we’ll be looking for contributors if you’re interested in submitting a piece! Next Next post: How Free is Your Internet?